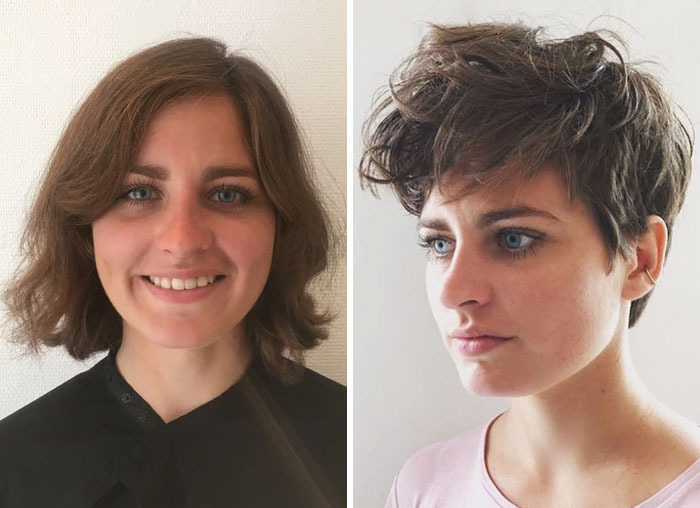 People change their hairstyles from time to time. But you need the courage to cut away your long hair. Nothing will compare to a feeling of a freedom to act The way you want. This is also about getting an extreme haircut. Are you ready for that? 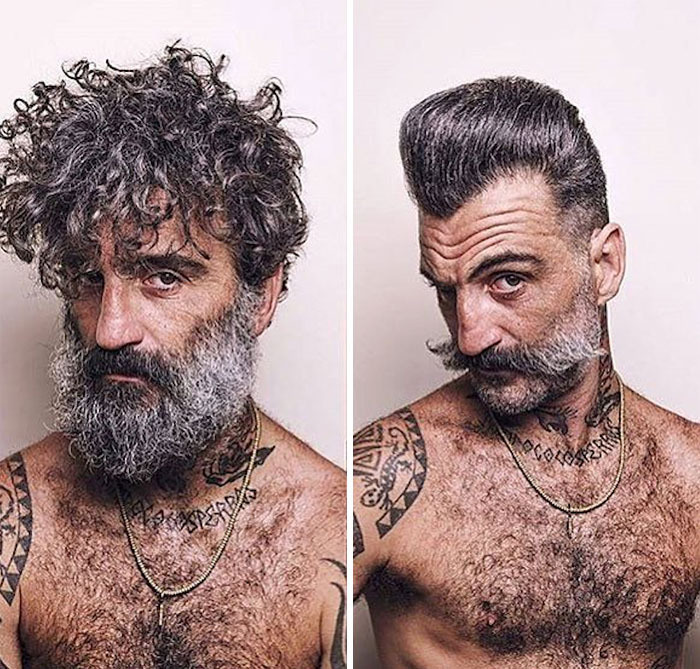 These photos can make you think about your current hairstyle. 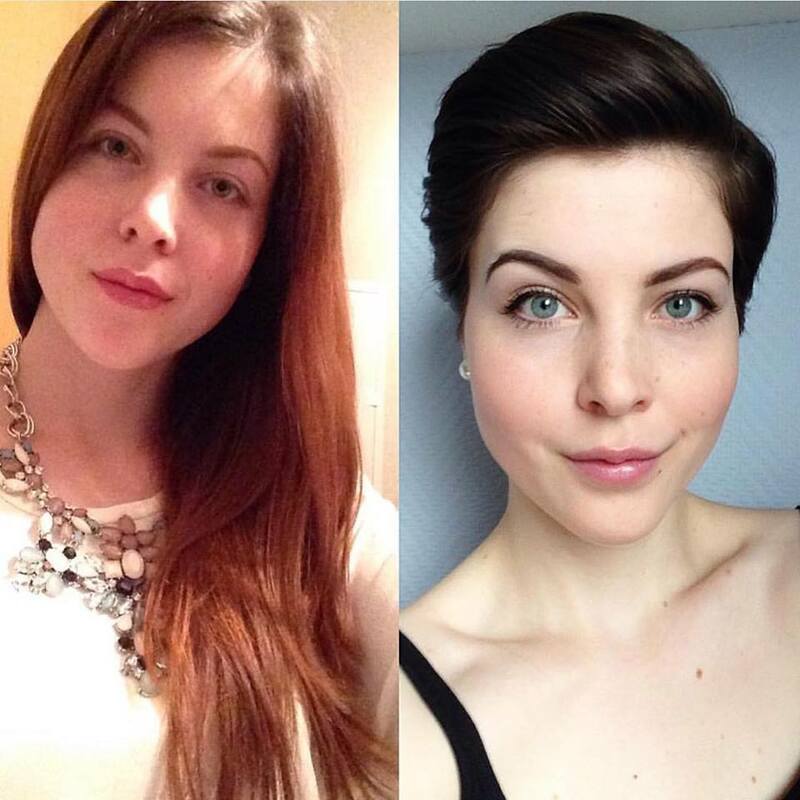 This girl needed a new haircut so much that she decided to cut them all. Now she looks like a superstar. 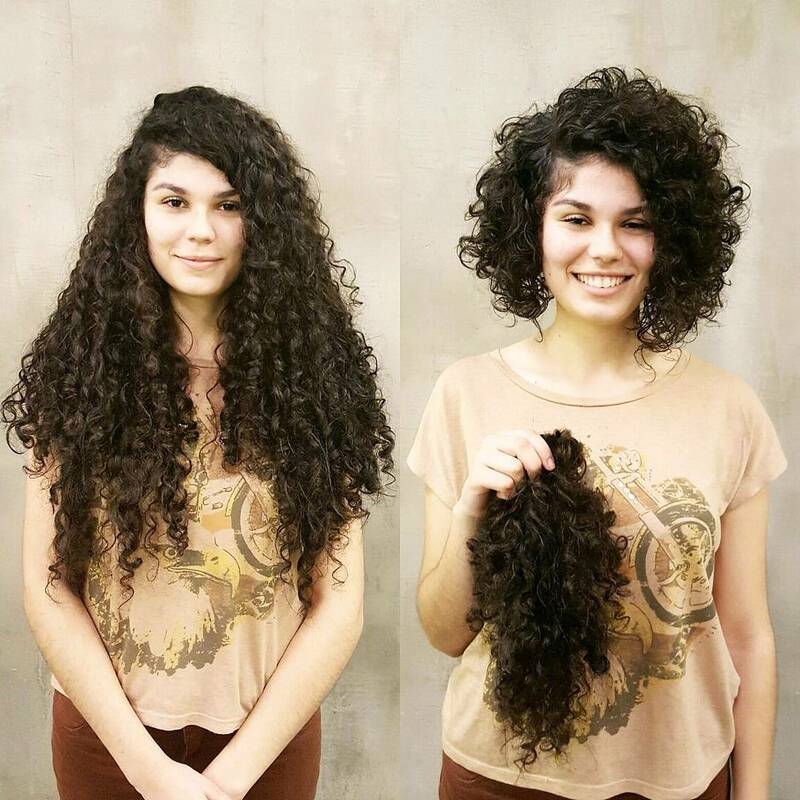 Only curly girls can understand each other's struggles. It took 4 years this girl to learn how to take care of her curls. 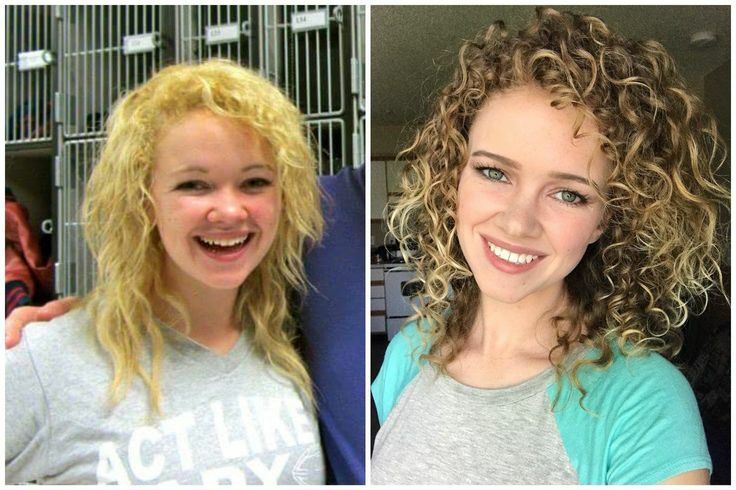 As a result, now she has a gorgeous curly hair. 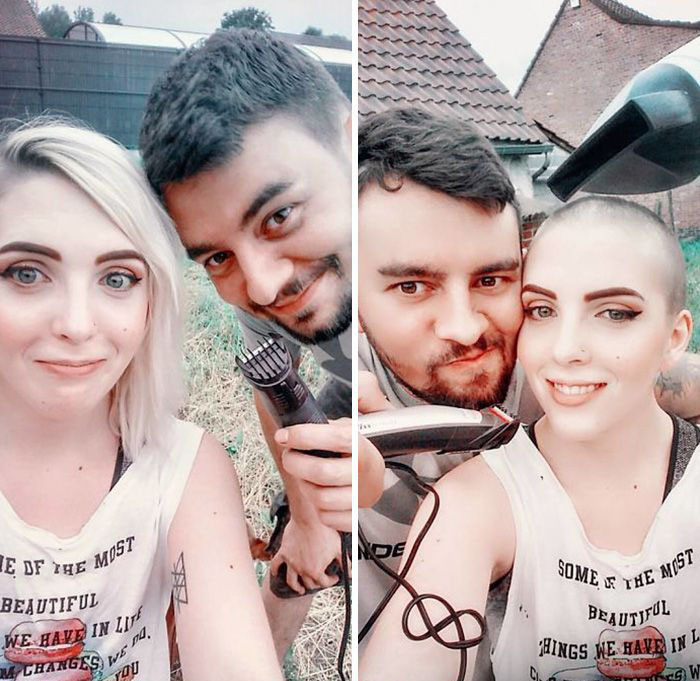 This brave woman decides to have an interesting haircut before her chemo kicked in. So, she did! Her new haircut and hair color make her look more attractive. 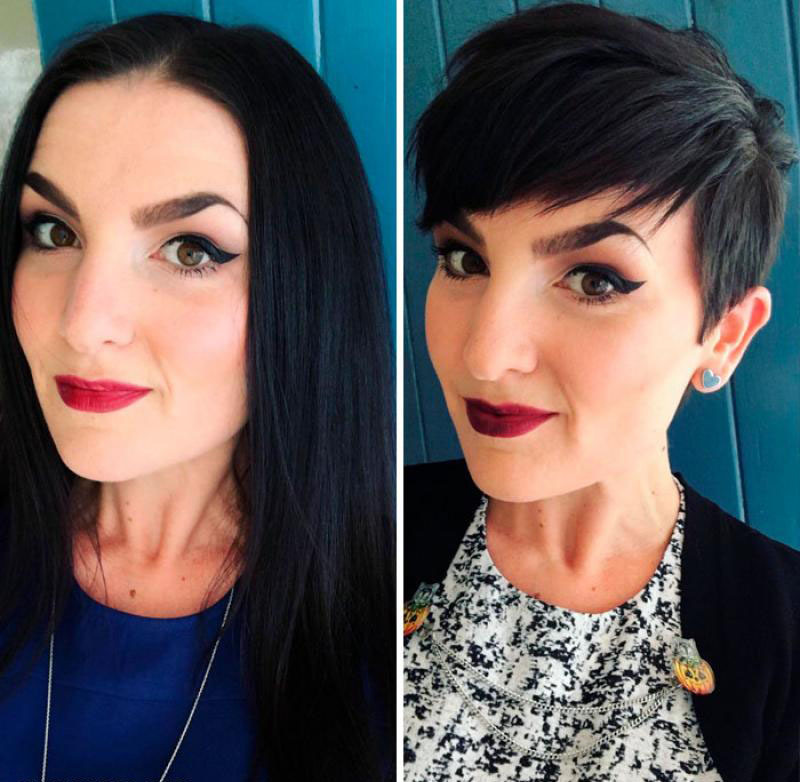 Both haircuts suit her a lot and it's difficult to say which one is better. 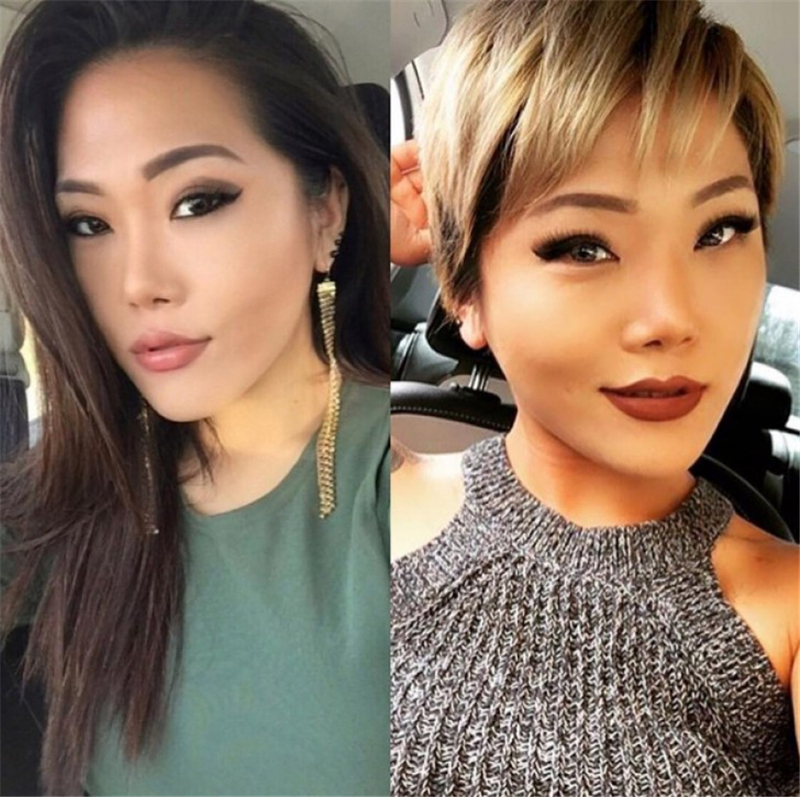 Can a girl look elegant and feminine with short hair? This girl is a perfect example of that! 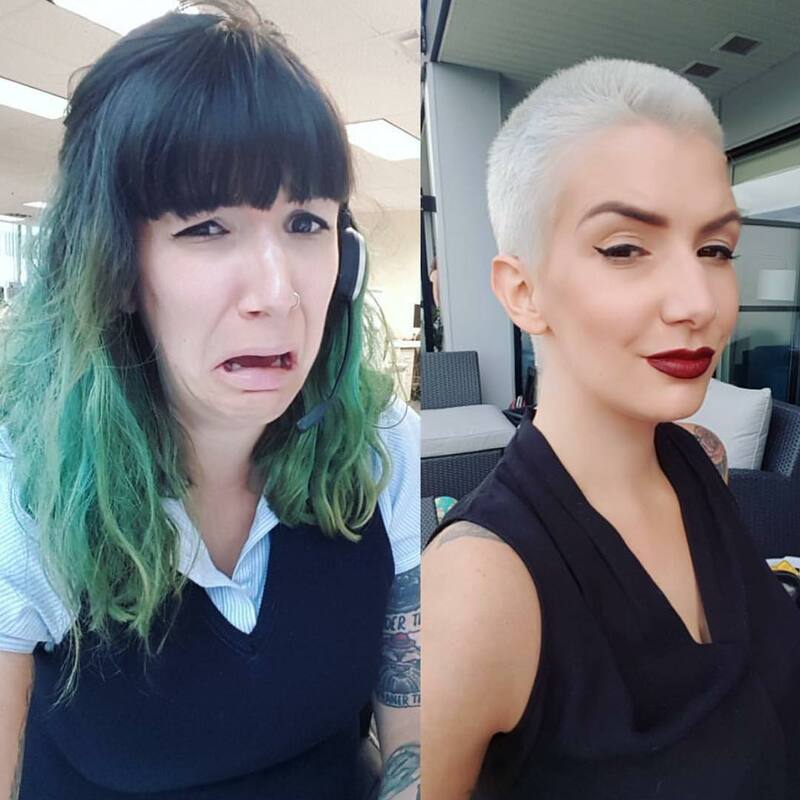 It's not easy to get a blonde short hair from dark locks. This woman did it brilliantly! 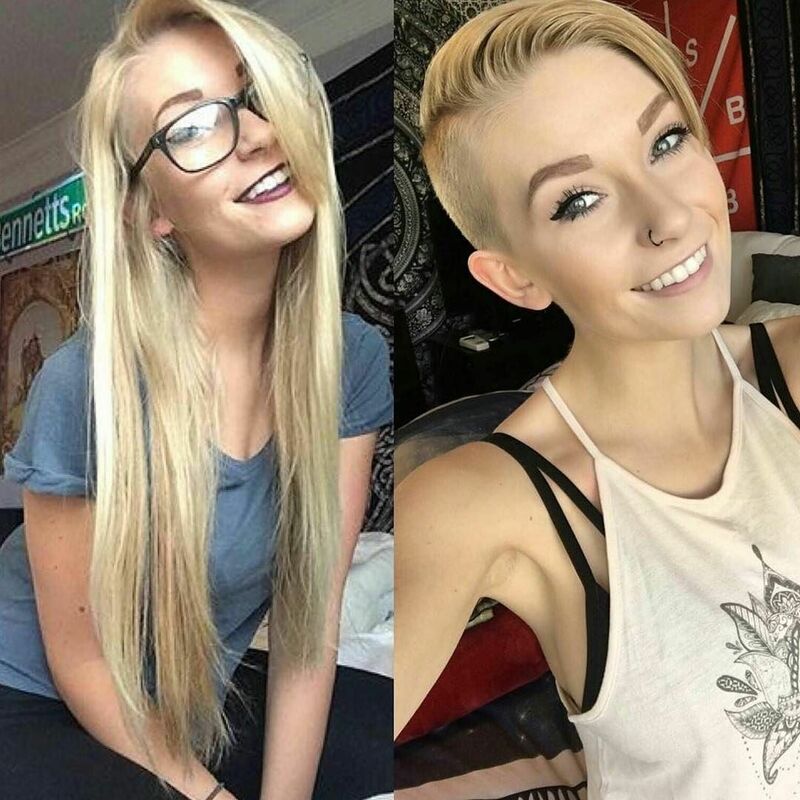 Even with short hair, she looks very cute! It's a very brave decision! 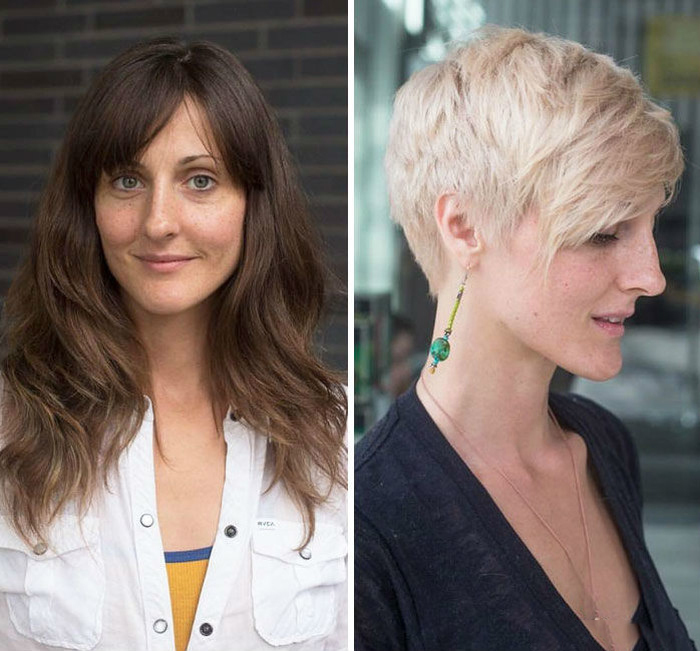 This hairstyle is for those who want to look 10 years younger. This handsome guy got bored with his romantic look and decided to look young again. 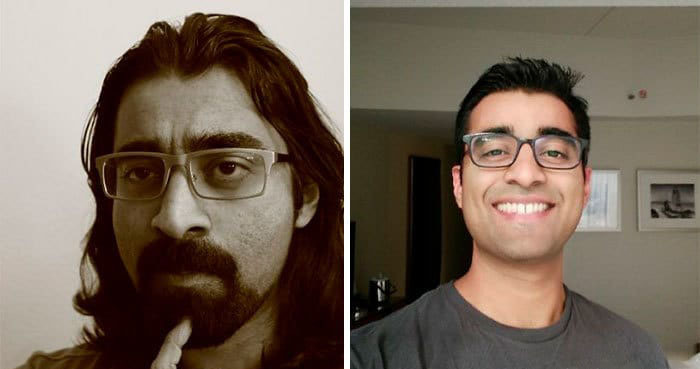 After growing his hair for a long time, he decided to cut them down. 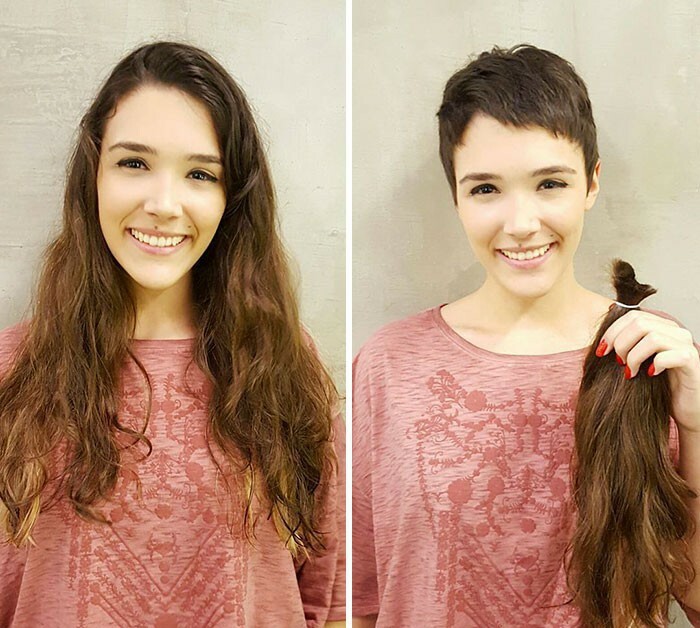 She cut her hair down to donate it to those who lost their own due to medical treatments. Respect! I think she will look unique with any hairstyles. 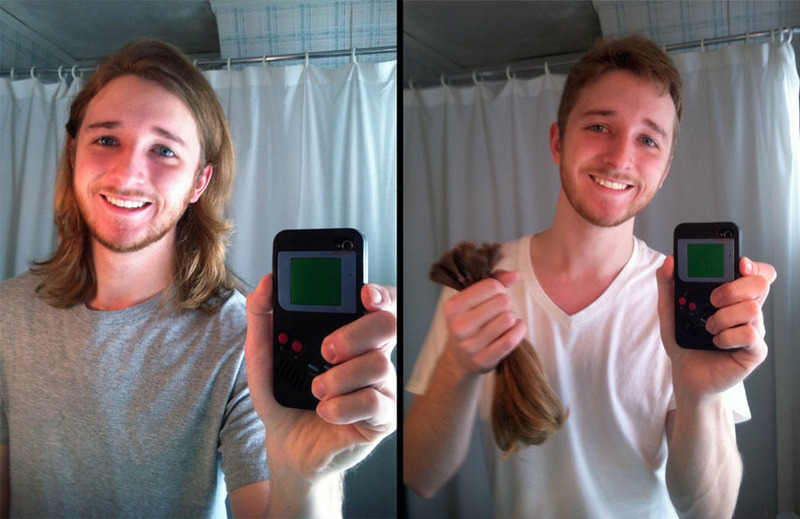 This amazing guy just donated his hair to Pantene Beautiful Lengths. He deserves a lot of respect. He looks attractive with both of hairstyles! You nailed it, girl! 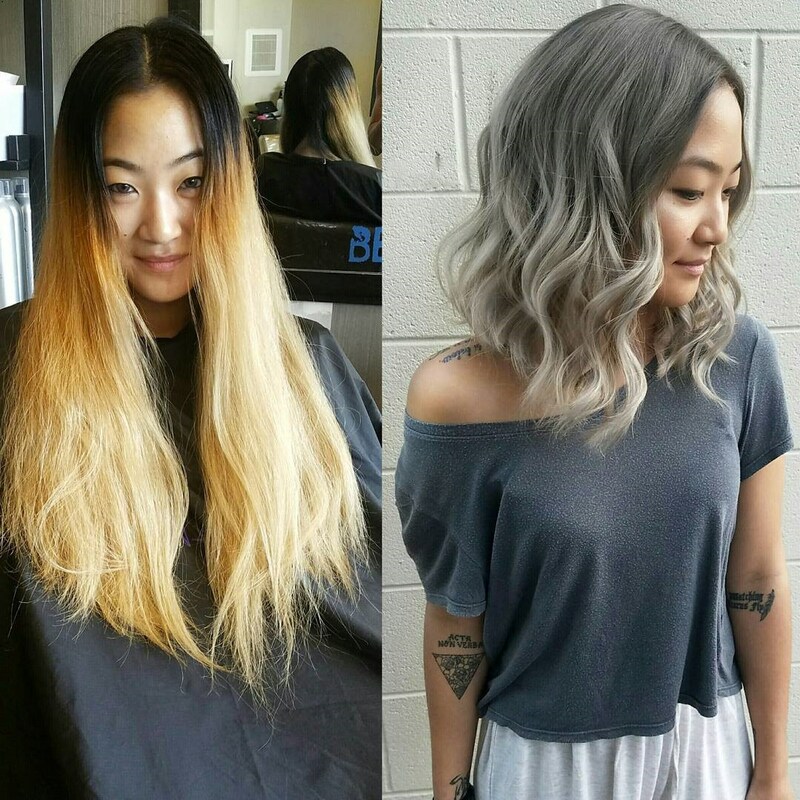 Amazing transformation. 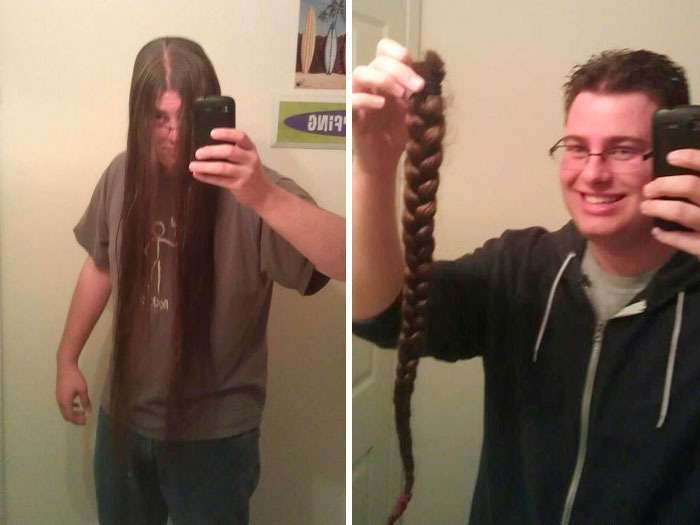 This amazing guy got his bass guitar stolen in Detroit, so he cut and sold his long hair for $900! 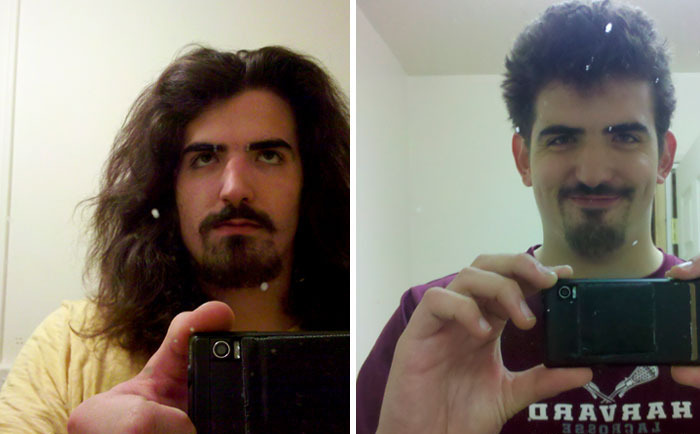 Having donated half of the money to Locks of Love, he used the other half to buy a new bass! Clever one! 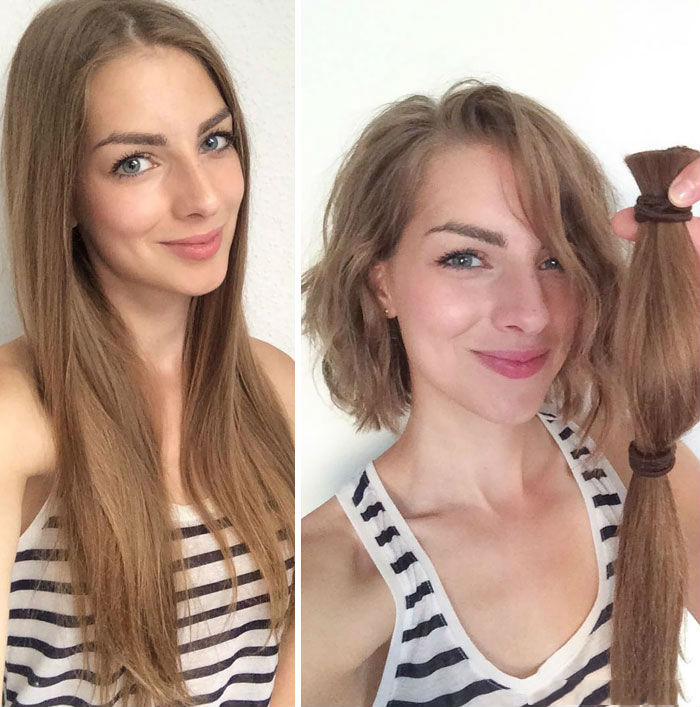 This pretty girl looks amazing without her hair.